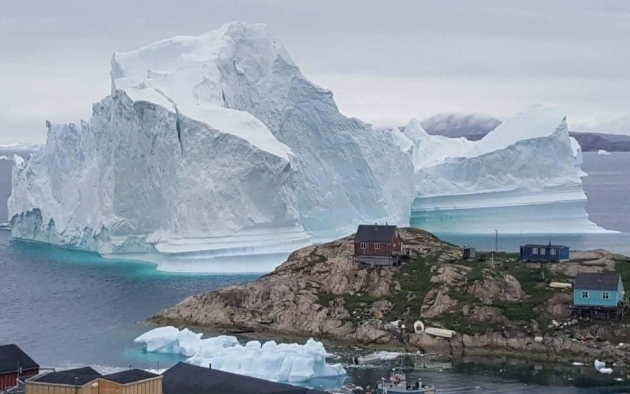 “We fear the iceberg could calve [break apart] and send a flood towards the village,” said Lina Davidsen of Greenland police. “But this iceberg is the biggest we have seen ... and there are cracks and holes that make us fear it can calve anytime,” she said. Police have moved a search-and-rescue helicopter closer to the remote community, which has a population of about 170. Icebergs breaking free from glaciers is likely to become more common, said William Colgan, a Geological Survey of Denmark and Greenland researcher. 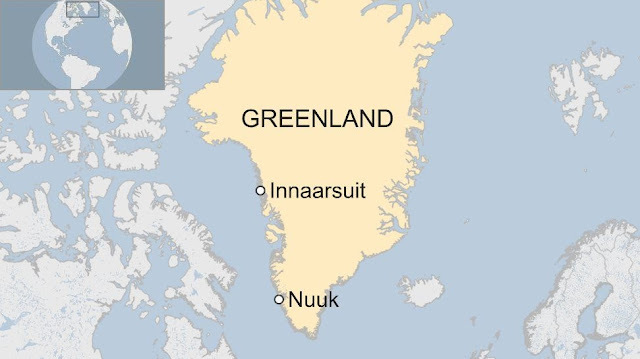 Greenlandic community of Innaarsuit "where dogs are more than twice as many as people"
“Iceberg production in Greenland has been increasing in the past 100 years as climate change has become stronger,” he said, while the rising number of icebergs were in turn “increasing the tsunami hazards”. Last year, four people died and 11 were injured after a landslide caused a tsunami off another island settlement called Nuugaatsiaq, sending several houses crashing into the sea. Responses to "Huge iceberg threatens Residents of Innaarsuit village in Greenland "